“The Little House’, 128 Day Avenue in the Earlescourt neighbourhood, was built in 1912 by contractor ARTHUR WEEDEN. An Englishman who came to Canada in 1902, Mr. Weeden became one of the early builders in TORONTO’s West End. Originally the lot was destined to be a laneway, but when that didn’t happen he decided to make use of the land – and construct one of our city’s first laneway houses. Arthur Weeden and his wife lived at #128 for 20 years. When Mrs. Weeden died, Mr. Weeden remained in the ‘Little House’ for another 6 years. 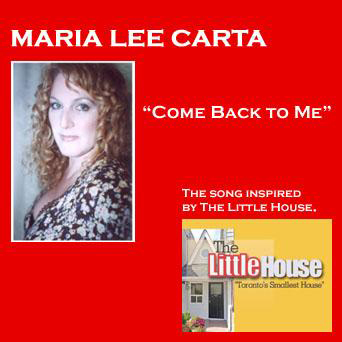 Maria Lee Carta recorded a song about the house in 2008. It’s available on YouTube. 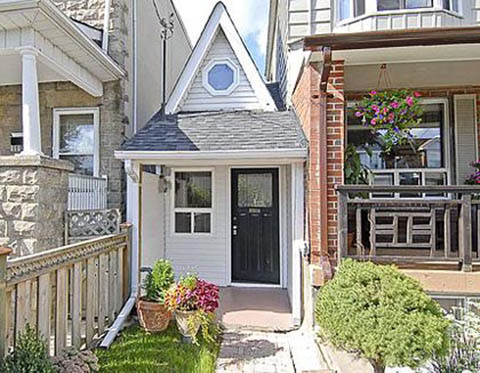 There are several other tiny houses in TORONTO, but this one is the smallest. Some others are on Craven Road, Gerrard Street East, Sword Street, Shuter Street and Sydenham Street. This entry was posted in Architecture and tagged Canada, laneway houses Toronto, Ontario, The Little House Toronto, Toronto. Bookmark the permalink. 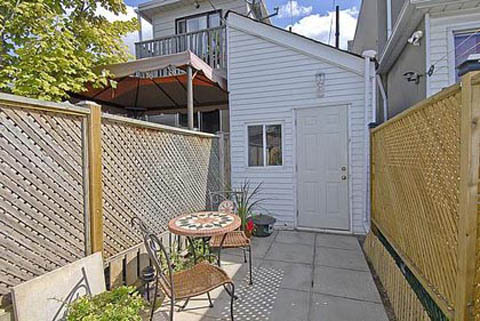 Can anyone provide contact info for current owners of the Little House in Toronto?